Popular Christian recording artist, Michael W. Smith, will be performing at Busch Gardens “Glory In The Gardens” Christian music concert series. If you are looking for a family friendly, fun-filled day, check out Busch Gardens during “Glory At the Gardens” held on Saturday, May 7 and Saturday, May 14. Daily admission to the park, including annual pass and the Fun Card, allows visitors to also enjoy concerts given by Mary Mary and Lacrae on May 7 and Michael W. Smith and Sidewalk Prophets on May 14. Mary Mary is a gospel inger/songwriter duo from California. Lacrae Moore is a Christian Hip Hop artist signed to Reach Records, a label he co-founded. 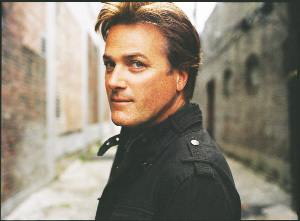 Michael W. Smith is a Billboard Hot 100 and Grammy award winning artist. Sidewalk Prophets is a contemporary Christian music band from Indiana. Busch Gardens offers a variety of concerts throughout the year. “From big band music and salsa to classic rock and contemporary Christian, there really is an event for every member of the family,” said Kelly Heckinger, Publicist for Busch Gardens. January to May is the main concert season. Busch Gardens is a great deal for Florida families, especially the Fun Card which is available now through May 31. With the purchase of a Busch Gardens Fun Card, you can pay for the day and then come back all year. “Busch Gardens really offers the best value in family entertainment in the Bay area,” said Kinser-Stutts. A single day admission is $69.99 for children and $77.99 for adults. Park hours vary to accommodate special events. For more information on Glory At the Gardens or for any upcoming events at Busch Gardens, please visit www.BuschGardens.com.